The commodities and mining giant has seen significant dips in its earnings, which is why its new focus is on belt tightening, rather than feasting on other companies. NEW YORK (The Deal) -- Has the slump in commodity prices robbed Glencore's (GLCNF Ivan Glasenberg of his hunger for deals, including that of the ultimate prize of Rio Tinto Group (RIO? On the evidence of his performance at a press conference on Wednesday, which coincided with the company reporting a 61% drop in first-half EBIT, the answer seems to be yes. Glasenberg, who has built Glencore and his reputation via a steady stream of acquisitions, struck an unusually subdued tone when questioned about the possibility of near-term acquisitions. 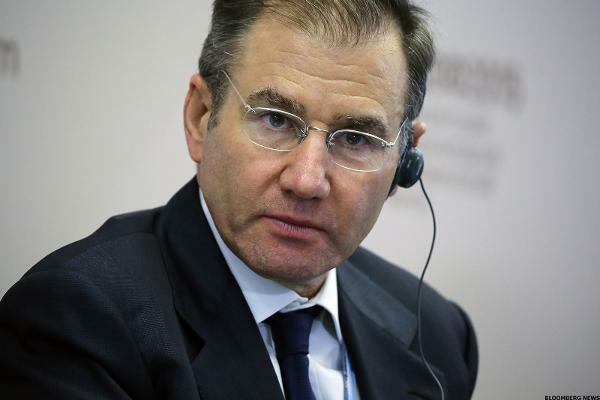 Glencore will "look at everything opportunistically," he told reporters on a call. "Right now, there is nothing on the drawing board." That isn't completely true. To judge by the repeated mantra on the call with journalists, and an earlier meeting with analysts, Glasenberg's metaphorical drawing board is stacked with plans to cut costs, reduce debt and ensure that Glencore maintains its treasured BBB/Baa2 credit rating and its ability to pay dividends. Glencore's problems are not just that prices have fallen for its coal, nickel, zinc, copper and oil, but that its trading arm also appears to have lost its knack for resisting the commodities downturn. EBIT from trading activities, which Glencore calls Marketing, fell 29% year-on-year in the first half to $1.07 billion, down from $1.5 billion. EBIT from its in-house mines and rigs tumbled 84%, to $341 million, from $2.1 billion. Given those results, belt tightening, rather than feasting on other companies, is now Glencore's priority. Capital expenditure will be cut 24% to $6 billion over 2015, down from a December estimate of $7.9 billion. That spending will fall a further 24%, in 2016 to $5 billion, unless markets improve. The company's oil project operating expenditure will be scaled back by $400 million over the next 12 months. Earlier this week, Glencore announced that it had sold its Tampakan copper project and its stakes in the Falcondo nickel operation and Sipilou nickel project to unnamed buyers for $290 million. The mines, along with other struggling nickel and coal operations, formed part of Glencore's $34 billion acquisition of Xstrata in 2013. Cash from asset sales and cost savings will be directed into cutting net debt to $27 billion by the end of 2016, down from the current level of $29.6 billion, to protect the company's investment grade credit rating. Glencore CFO Steve Kalmin told reporters that maintaining a BBB credit rating was among the company's top priorities and that the company's cash flow was sufficient to support its dividends. "The measures today further highlight the company moving in the right direction," to ease balance sheet pressure, Barclays analysts Amos Fletcher and David Butler noted Wednesday. The new austerity focus, coupled with the battering that Glencore's stock has taken over the past year, is bad news for those hoping the company might revive last year's audacious plan to bid for larger rival Rio Tinto Group. Glasenberg on Wednesday initially dismissed the idea that Glencore had ever made a bid for Rio Tinto -- a barely credible but probably semantically true claim. He then delivered a curt, if obfuscatory, response for further clarity on his intentions, declaring that "right now, you don't see us pursuing [Rio Tinto]." Glencore shares traded Wednesday at 161 pence ($2.52), down 15.1 pence, or 8.5%, on their Tuesday close, taking their one-year loss to 55% and leaving them trading near their lowest levels since the company's initial public offering in 2011.